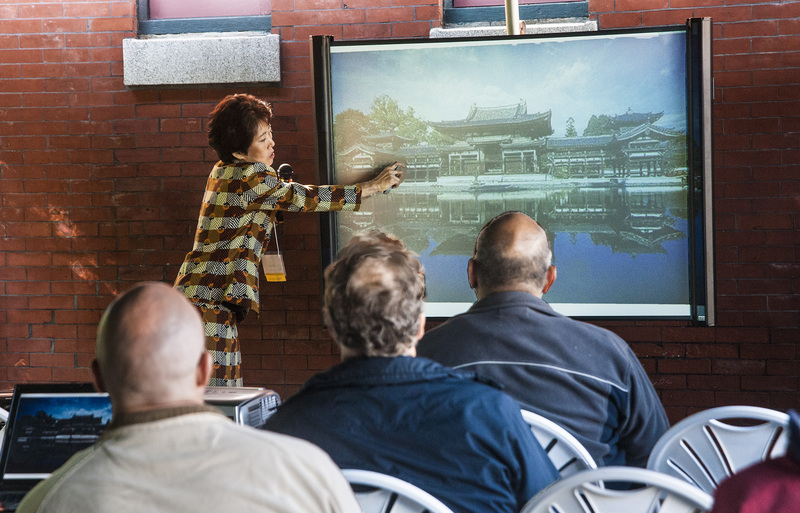 One way to learn about the elements of Japanese gardens is to attend regional events or biennial conferences sponsored by the North American Japanese Garden Association. 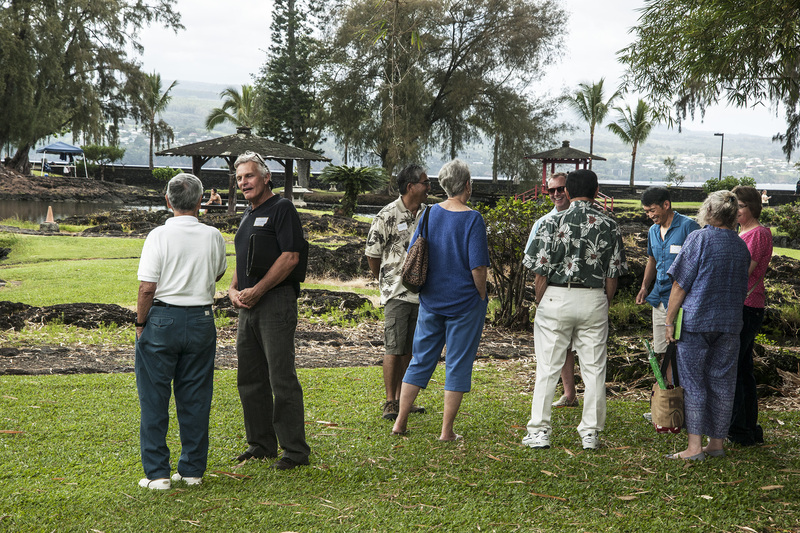 Such events combine workshops with local experts and tours of nearby gardens for a full experience. I’m still catching up on many gardens visited and not yet posted. Shofuso Japanese House and Garden in Philadelphia, Pennsylvania was host to this regional event in 2013 concentrating on water features. koi so happy they are snorting for joy — well, snorting for food, anyway! During pond reconstruction last year, stones designed to be a boat landing were discovered. 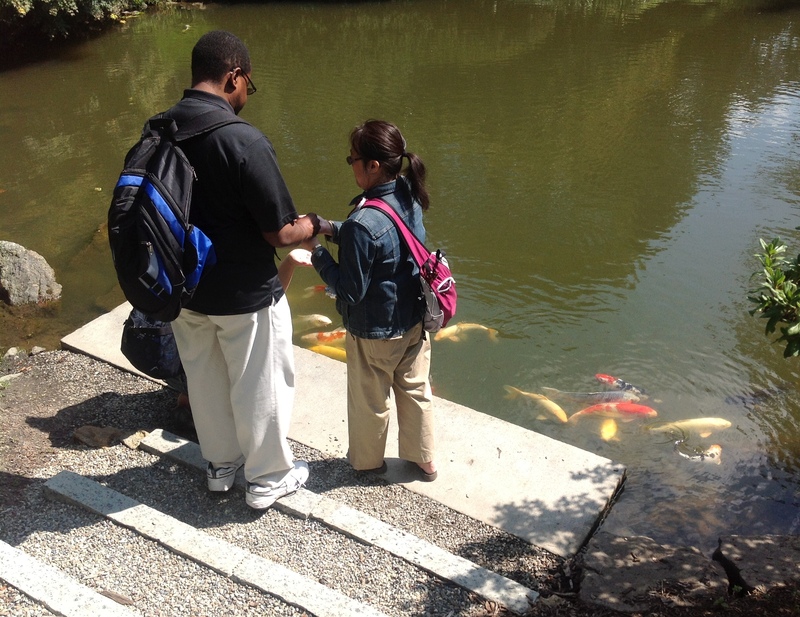 The original plans for the garden — made in the mid-1950s — were carried out in the renovation and now provide a koi feeding station at Shofuso Japanese House and Garden. 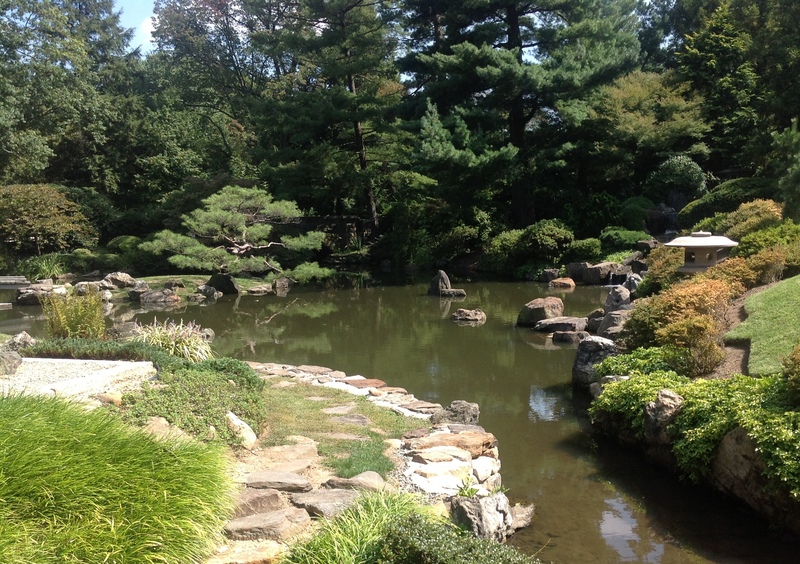 The North American Japanese Garden Association will present a two-day regional workshop in Philadelphia, PA, Friday and Saturday September 20 and 21. The first day will begin with a presentation on the history and significance of water in the Japanese garden setting by Seiko Goto, PhD, Assistant Professor in the Department of Landscape Architecture at Rutgers University. Professor Goto holds a Master in Horticulture from Chiba University Japan as well as a Master in Landscape Architecture from Harvard. The rest of the day will be spent on designing and constructing water features for a Japanese style garden. 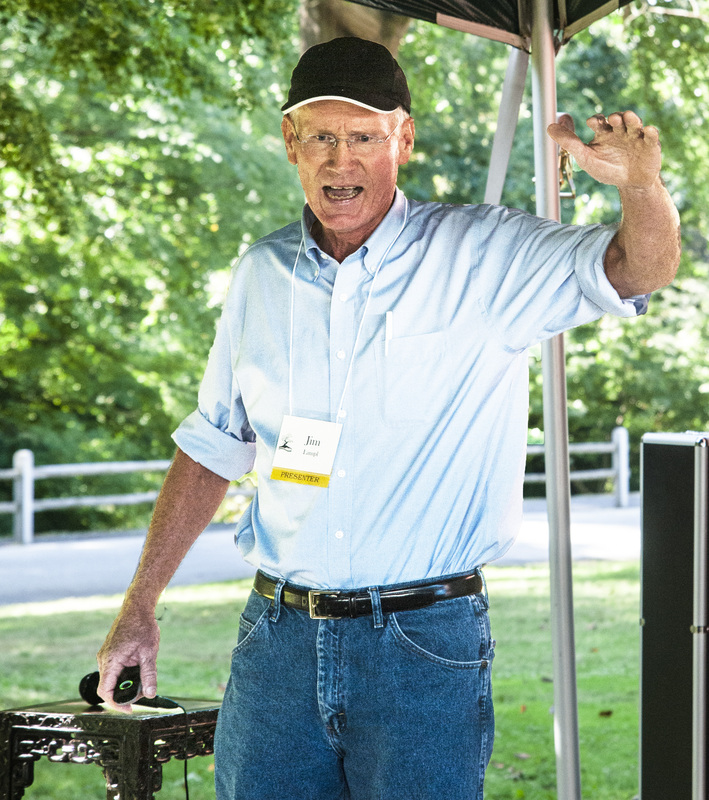 Presenter is Jim Lampi, a design-build landscaper specializing in the creation of ponds, waterfalls and naturalist landscapes. Topics to be covered include: design considerations plus influences and inspirations for design. Also covered will be construction methods; comparing concrete, liner, hybrid concrete with liner; filtration; drainage; rock edging and plant edging; rocks and boulders: selection, acquisition, and placement using machine or sling. 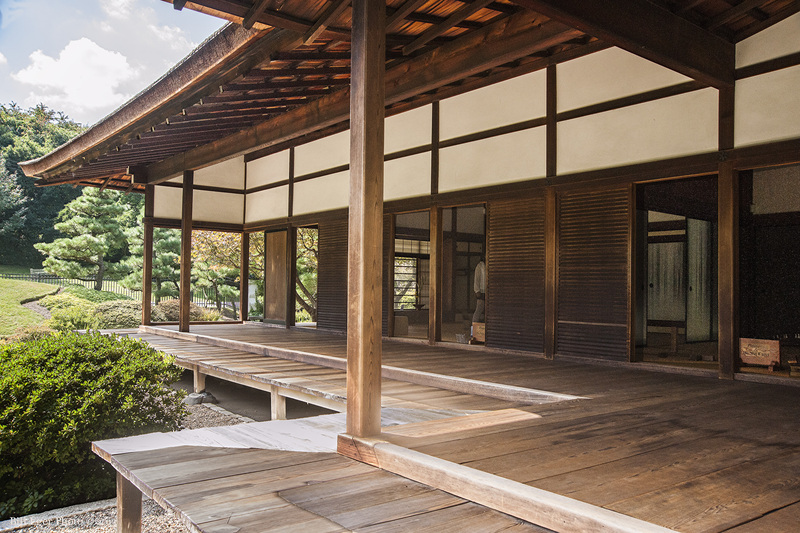 Friday evening will offer guided tours of Shofuso Japanese House and Garden, refreshments and a presentation by Dr. Frank Chance, director of the Center for East Asian Studies at University of Pennsylvania. 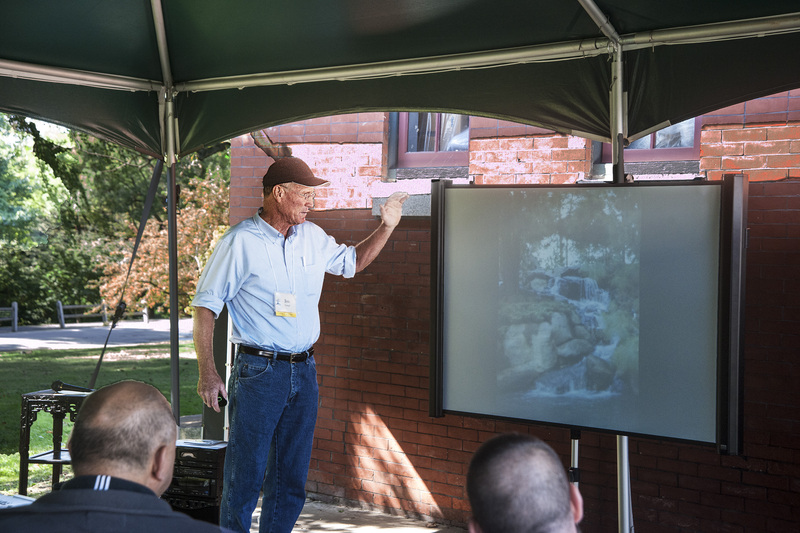 Saturday’s events concentrate on koi: their origins, variety, and selection plus discussions of water conditions and creating a healthy environment. Also covered will be koi anatomy, reproduction, health and how to recognize illness, methods of treatment, feeding and seasonal considerations. 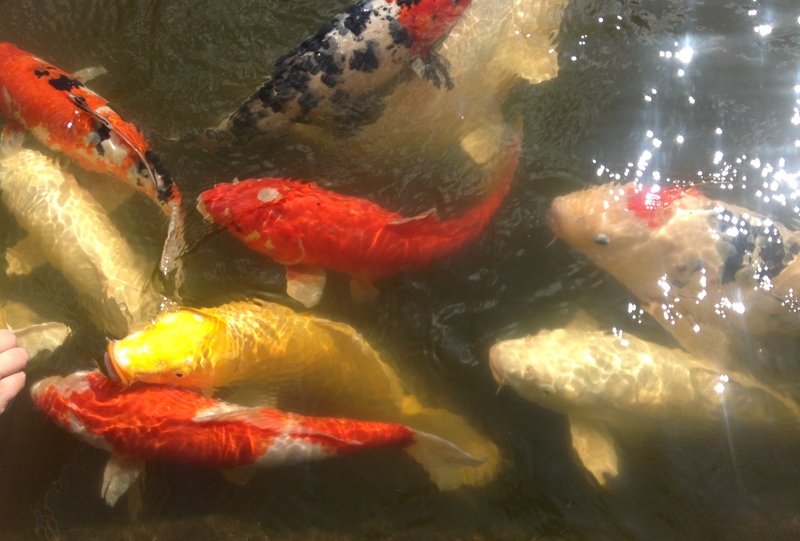 Joseph S. Zuritsky, owner of Quality Koi at Carney’s Point, NJ, with 40 years experience and numerous awards, will lead a tour of Nisei Koi Farm and deliver presentations on the above topics. To make reservations, contact NAJGA by e-mail to KYanagi@NAJGA.ORG or telephone (503) 222-1194. You may also click on the link below to print out a registration form for for information, fees, hotel registration and mailing information. A new hornbeam hedge separates the entry paths at Shofuso and guides visitors to the tour booth. 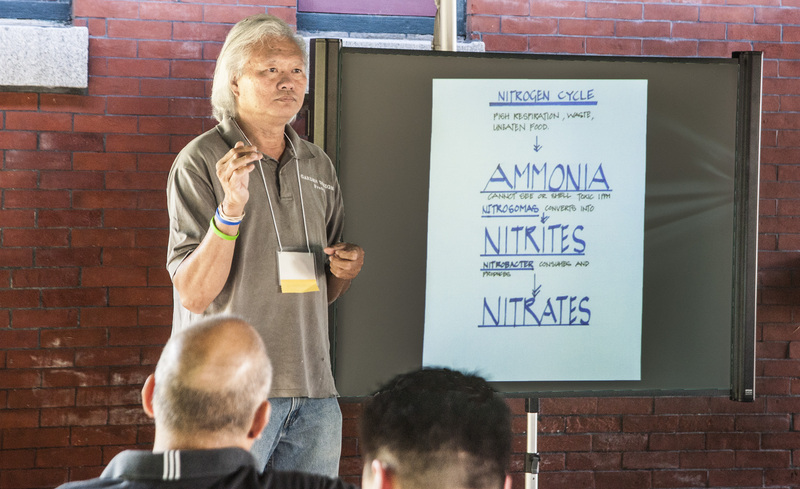 Francis Weng discusses pond biology and maintenance. Jim Lampl discusses pond construction. 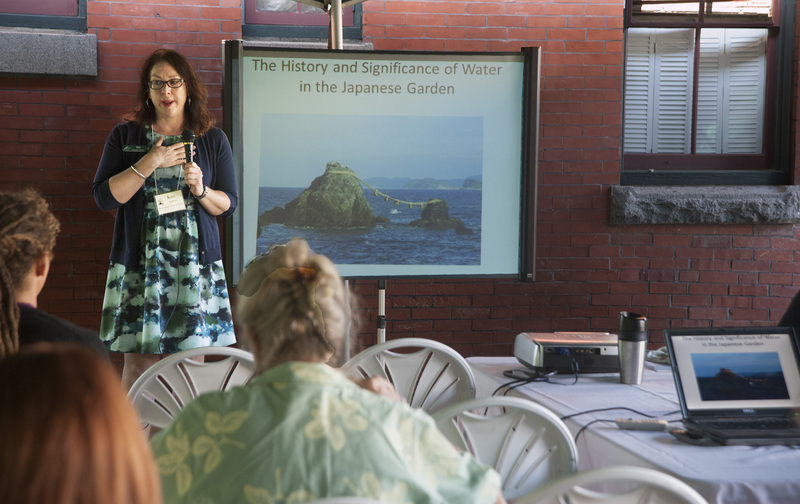 Dr. Seiko Goto discusses the history of water in Japanese gardens at the NAJGA regional conference in Philadelphia. 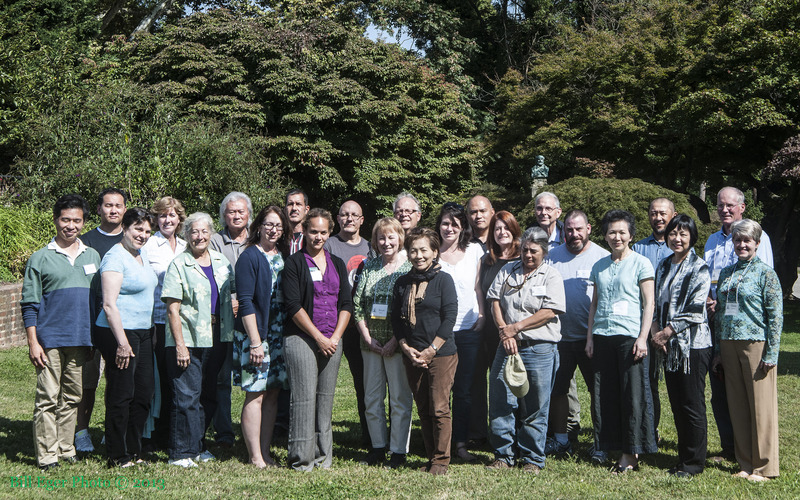 The class photo of garden folk who attended the NAJGA regional conference in Philadelphia. 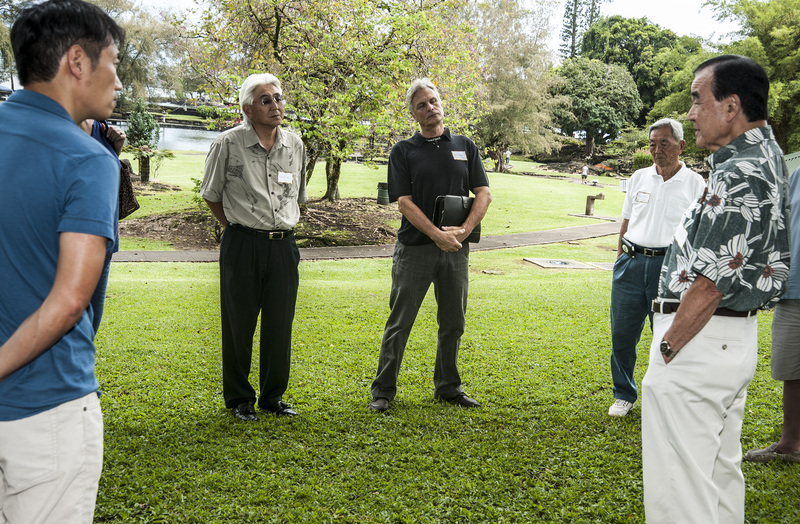 On Saturday, May 18, the board of directors of Friends of Lili`uokalani Gardens welcomed Ebi Kondo, curator of Sho-Fu-En the Japanese garden at Denver Botanic Gardens and a board member of the North American Japanese Garden Association (NAJGA), to Hilo’s bayfront park along with several Hilo community leaders with long-time ties to the garden. 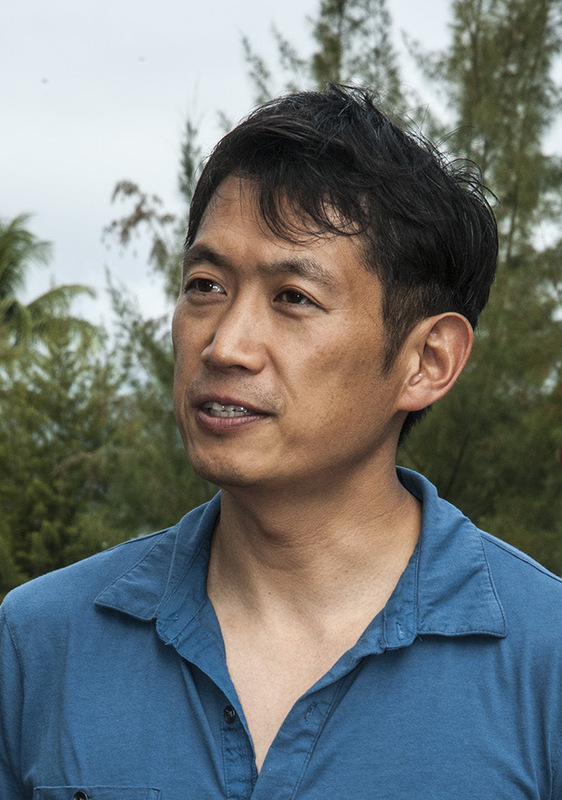 Kondo was enthusiastic about Lili`uokalani Gardens. “This is an old-style pleasure garden,” he said. “You have so much history here. This is a great event to be shared with all who visit. 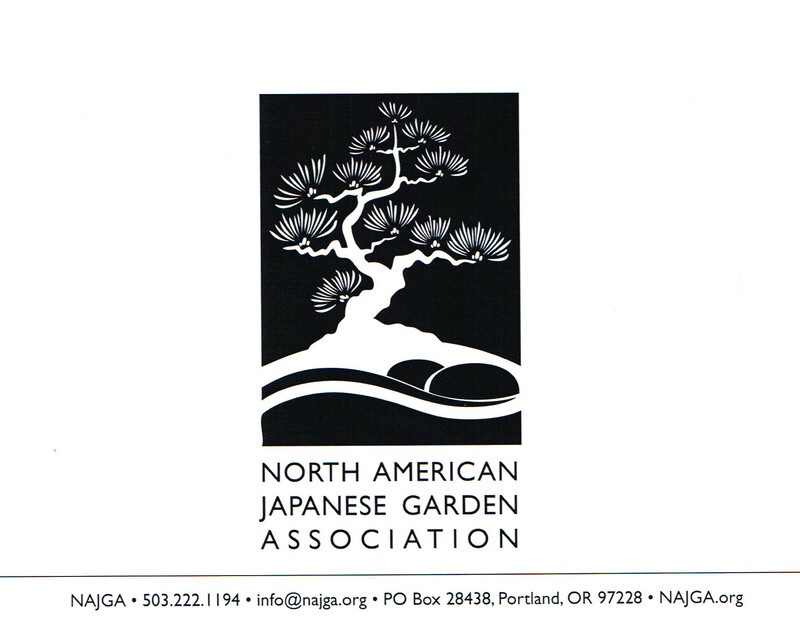 Ebi Kondo of Sho-Fu-En Japanese Garden in Denver Colorado explains the benefits of membership in NAJGA a non-profit public garden organization. Nearby are Friends of Lili`uokalani members Harvey Tajiri and K.T. Cannon-Eger. 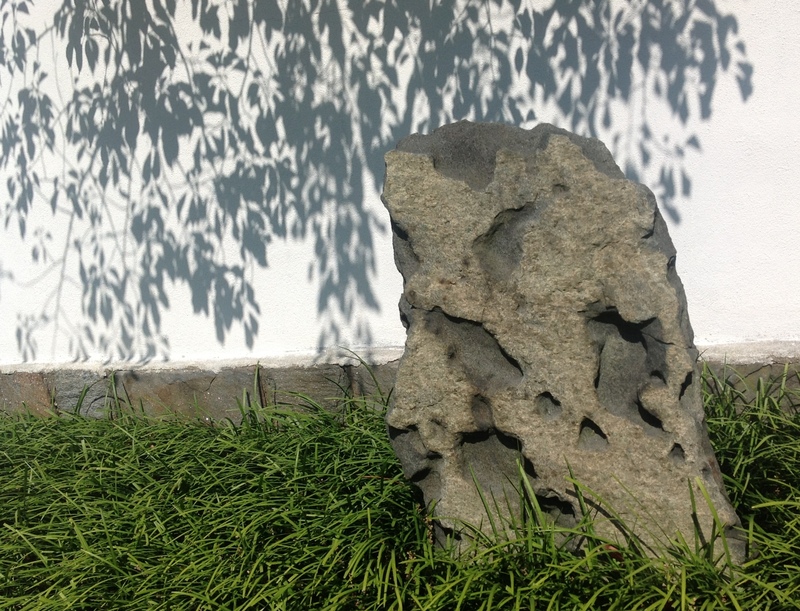 Kondo worked on the revitalization of the Japanese garden in Denver. “It takes everybody working together,” he said. 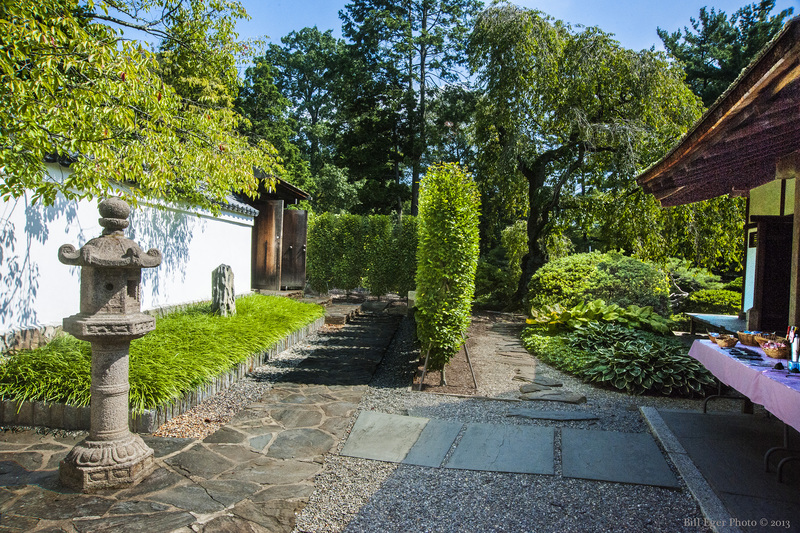 Sho-Fu-En now features a new roji (dewy garden path) to the tea house as well as a separate ADA compliant path. The tea house in Denver is like the one in Hilo in one respect: there are two areas for practitioners and participants — one more traditional with tatami floor and one Western with folding chairs. 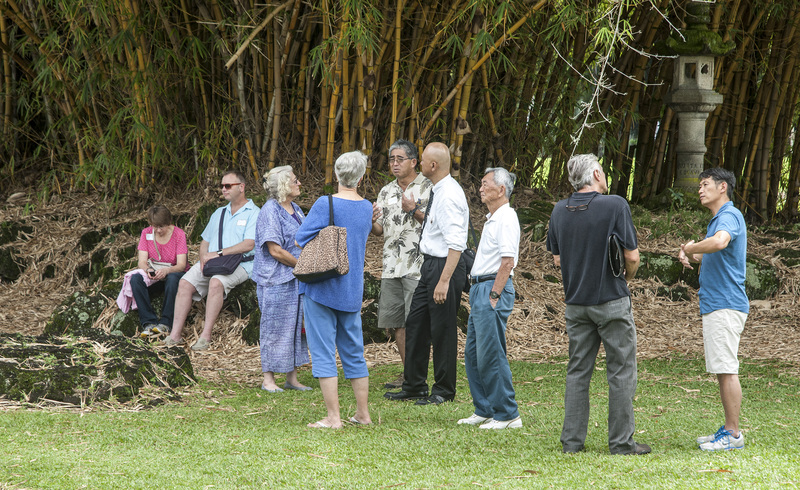 Della Allison Yamashiro of Friends of Lili`uokalani Gardens, listens to Hiroshi Suga, president of the Japanese Community Association of Hawaii, speak of cooperation to promote and preserve Japanese culture, and foster harmony and fellowship in Hawaii County. 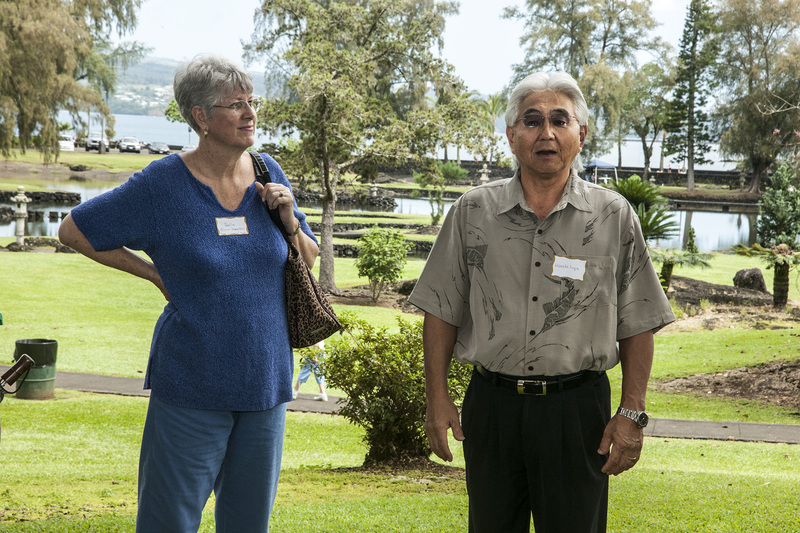 Russ Oda speaks of Shoroan and the history of Urasenke in Hawaii. 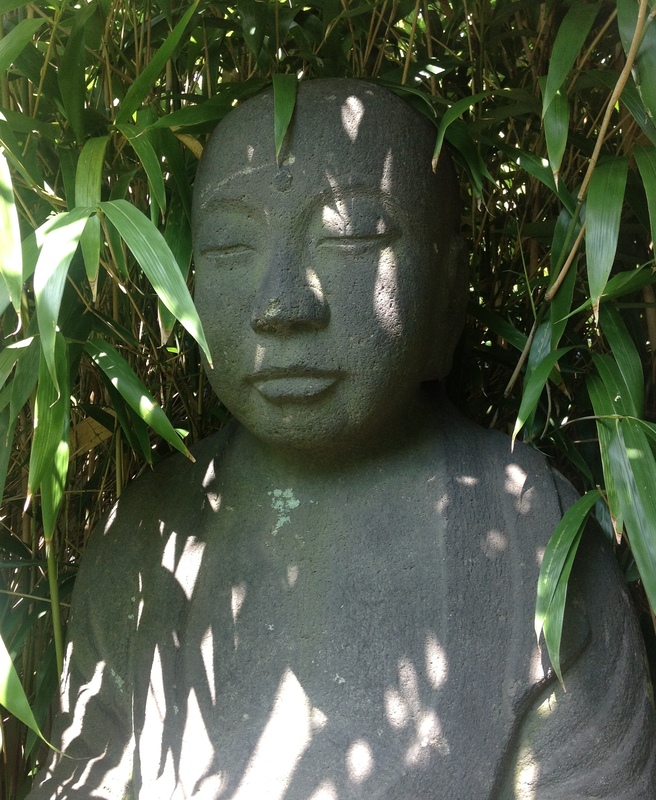 The casual tour wandered over to shade by the bamboo grove. Dwayne Mukai, president of Kumamoto Kenjin Kai, and Rev. 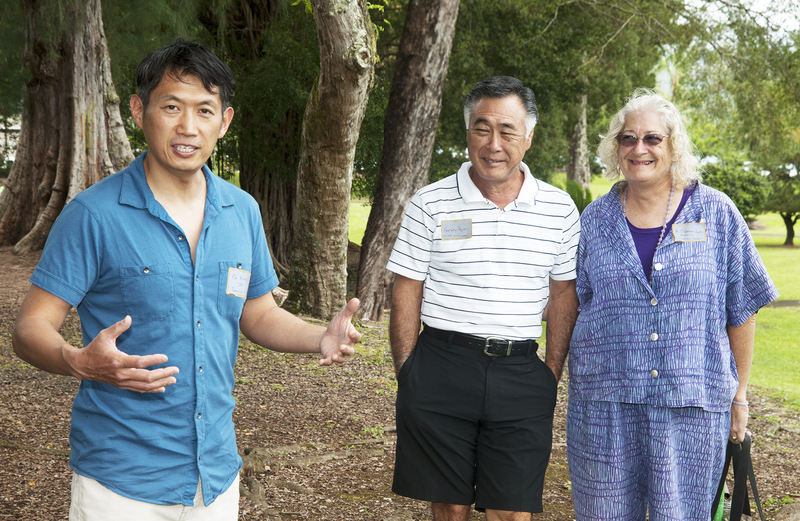 Jeffrey Soga, Rimban for Hawaii Island’s Hongwanji join in the conversation. K.T. Cannon-Eger, Ebi Kondo and Philippe Nault ponder an ancient stone basin. NAJGA offers two regional conferences later this year. Woodworking skills and traditional hand tools will be held August 13-16 in Oakland, California with site visits to several gardens in the area. Constructing Japanese water features and selection and care of koi will be held September 20-21 at Shofuso in Philadelphia, Pennsylvania. For additional stories in this blog on Denver or NAJGA, check the category and tag lists to the right side of the screen.